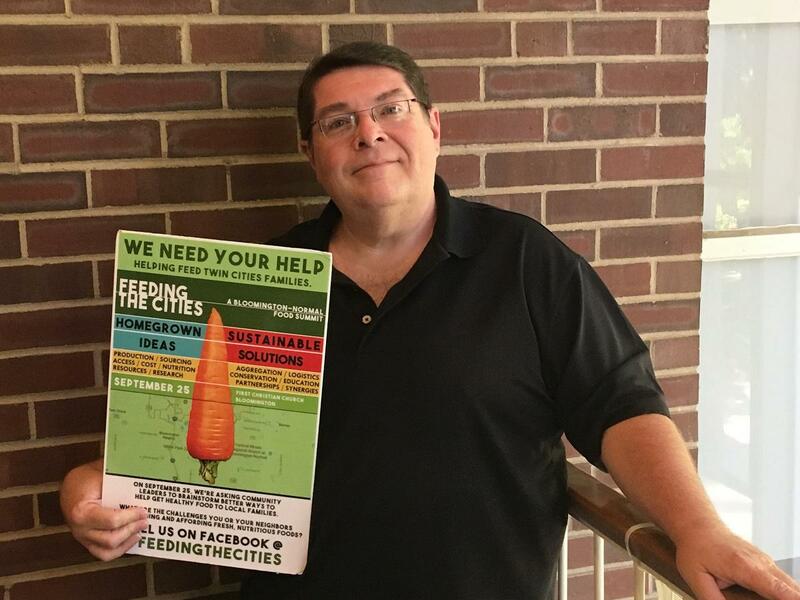 Martin Ross is coordinating the Feeding The Cities Bloomington-Normal Food Summit on Sept. 25. Stakeholders from nonprofits, health care, government, education and more have been invited to a food summit in Bloomington next week. Organizer Martin Ross said the Feeding The Cities summit is a response to a report done last year by Illinois State University’s Stevenson Center and Not In Our Town which noted low-income neighborhoods on Bloomington's west side have limited access to food, and healthy food in particular. “There may be plentiful food per se in some areas, from mini marts, variety stores, etc., but it’s mostly high carb food that just doesn’t meet the micronutrient requirements, the nutritional requirements that can (prevent) obesity,” Ross said. Ross is a retired Illinois Farm Bureau agriculture policy writer. He said the summit is intended as a brainstorm session to find ways to improve food access. “The food summit is looking at the entire waterfront of ideas, everything from how we can expand food pantry reach to how entities like Connect Transit could play a role in taking people to the food,” Ross said. The summit is set for Tuesday from 10 a.m. to 1:30 p.m. at First Christian Church in Bloomington. 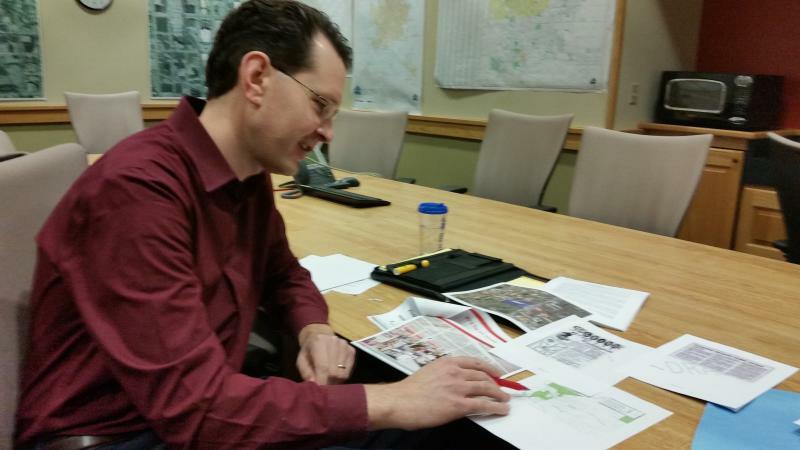 Ross added the conference will include details about a new initiative from West Bloomington advocates Arthur Haynes and Laurie Bell to foster nutritional resources and economic development, particularly along the West Market Street corridor. WGLT depends on financial support from users to bring you stories and interviews like this one. As someone who values experienced, knowledgeable, and award-winning journalists covering meaningful stories in Central Illinois, please consider making a contribution. Is West Bloomington Likely To Get A Large Supermarket? GLT is reporting this week on why west Bloomington is a food desert and how different community organizations are working to fill the gap. This is part four in the series. As an environmentally conscious owner of three farm-to-table restaurants in McLean County, chef Ken Myszka hates to throw out any food. 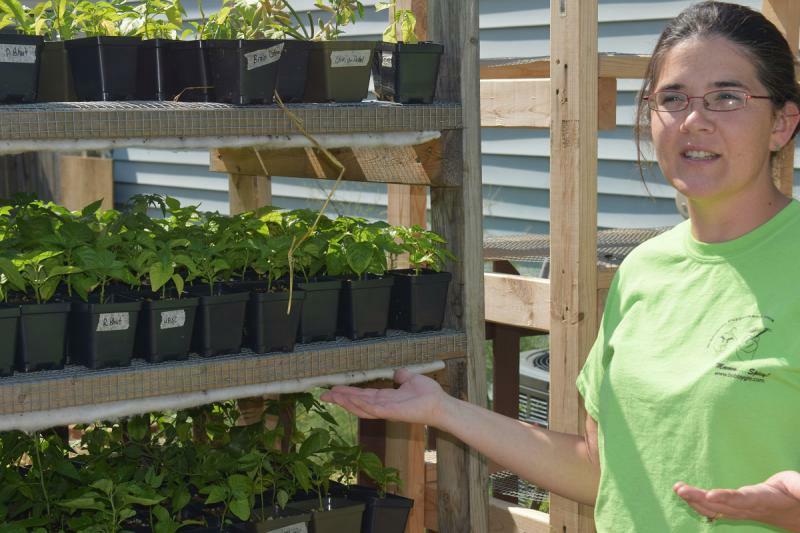 GLT is reporting this week on why west Bloomington is a food desert and how different community organizations are working to fill the gap. This is part two in the series. Green Top Grocery is lowering prices on produce and other staples and trying a variety of other strategies to reach more lower-income customers from Bloomington's west side. Why Is West Bloomington A Food Desert? There’s an acre and a half of land adjacent to Sunnyside Park on the west side of Bloomington that, come summer, will transform into plots of garden-grown vegetables. Colleen Connelly, one of the garden's curators, surveys the scene.